As the miles begin to rack up, it’s expected that your tires will begin to wear down. If that happens, come visit the service department at Pat Peck Kia! We offer a range of automotive services and have a devoted tire center with specially outfitted wheels for your particular model. 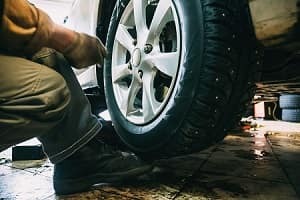 So, whether you need a tire rotation, or you’re looking to swap out your old wheels for a customized set of off-roading tires, you can count on our trained technicians to get the job done, and get you back on the road around D’lberville, Gulfport, and Hattiesburg. What are Speed Ratings for Tires? Why is My Car Drifting and Pulling? It’s hard to hit the open road without a reliable set of wheels, so our tire center is outfitted with advanced technology that makes repairs simple and efficient. The first benefit of coming to our tire center is the fact that we can cater to your specific Kia model. Whether you drive the Sorento, Optima, or Stinger, we’ll have a set of wheels that fits perfectly. If you prefer to have a unique set of customized, off-roading tires installed, our technicians can do that for you, too. Next, our center includes all the major tire brands such as Nexen, Hankook, Kumho, Goodyear, or Michelin. Plus, we offer comprehensive road hazard coverage. We understand that tires are an investment on your end, so we offer this coverage to help you protect that investment. If you happen to run over a nail or get a slow-leaking tire, we’ll happily fix or replace that faulty wheel! We also do tire rotations. This is an important maintenance procedure, as it helps prevent one tire from wearing down more significantly than the others. Tire rotations are recommended every 6,000 to 8,000 miles. Tires are just one of the many service we offer at our Kia dealership. We also have, for example, an expansive parts center with specially designed pieces to fit your specific Kia model. If we don’t have your part in store, we’ll happily order it for you and install it once the part arrives. Before you stop in, however, be sure to check out our various service specials and discounts available. These rotating specials are designed to help you save money, and often extend into our tire center as well. Finally, if you want to set up an appointment right now, use our handy online scheduler tool! 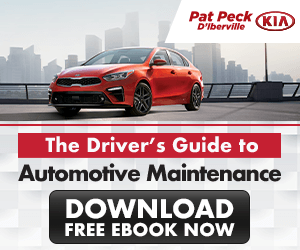 If your Kia doesn’t quite grip the roads near D’lberville, Gulfport, or Hattiesburg like it used to, it may be time to start thinking about a new set of wheels. 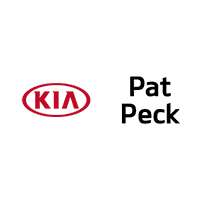 If so, visit our inclusive tire center at Pat Peck Kia!